Farzad Azima, who works with the non-profit A Circular World recently told me more about how they use NATS, and why they chose it to connect systems to help alert people to get to safety during earthquakes. 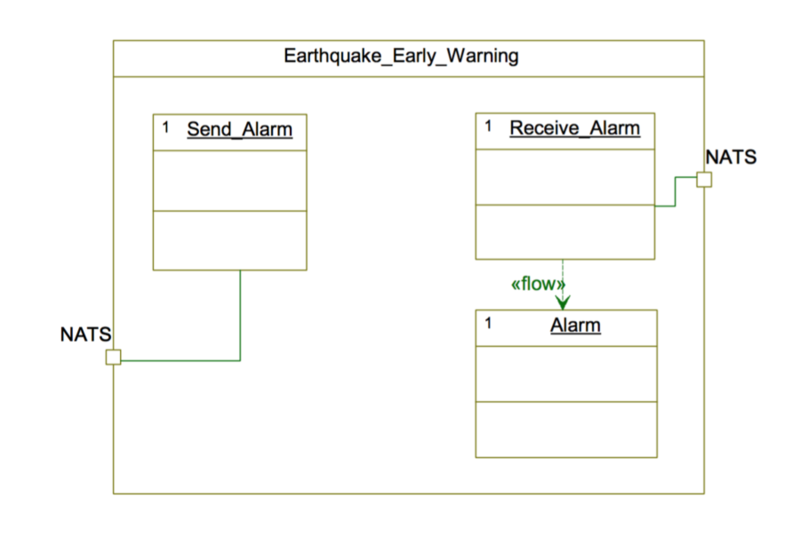 Farzad Azima, who works with the non-profit A Circular World recently told me more about how they use NATS, and why they chose it to connect systems to help alert people to get to safety during earthquakes. 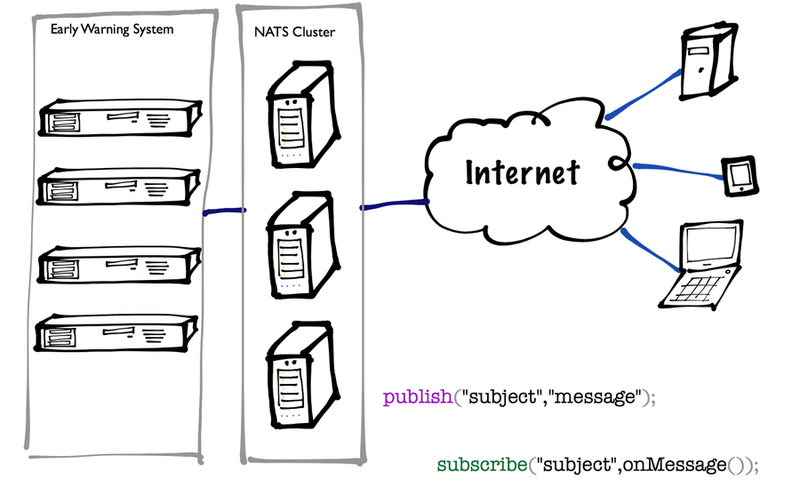 NATS is a simple, always-on messaging system popular for microservices, IoT Messaging, and cloud applications. I’m a programmer. I like to find difficult problems to solve, and work on effective solutions to these problems. We’ve all seen earthquakes covered in the news, sadly, and earthquakes are on the rise globally. The average frequency and magnitude of earthquakes has increased recently, and more people than ever are living in urban areas which are dangerous during earthquakes. Decreasing the number of people killed by earthquakes is a problem I want to help solve - approximately 10,000 people are killed each year by earthquakes, and tens of thousands are injured. For the last 2 years, I have been working on an Earthquake Early Warning System using smartphones through my non-profit, A Circular World. I’ve been designing a series of new algorithms for this, and two weeks ago in early April, eventually all of its modules get ready to be released except sending alert messages to people in the crisis area. Our app is called Earling (Early Warning). We needed a cost effective solution for providing always available connections to thousands of smartphones around the world. The more I learned about NATS, the more I realized it was a perfect fit for my project. NATS allows us to send emergency alarms with very small pieces of code, instantly, and is always available. This project has vital operations. To reach its duty we needed a reliable network connection between smartphones as client and servers. Our solution must be able to transmit millions of connections per seconds and except some rare expensive enterprise services, none of the current solutions were able to handle this huge number of concurrent connections. Performance is critical in this use case, and can save lives - a second can be the difference between escaping a collapsing building or not. Based on our research between Amazon SQS, Kafka, ActiveMQ and RabbitMQ, NATS provided by far the best performance. Whereas none of them were able to handle more than 40,000 messages per second in our environment, NATS is able to transmit about 10 million messages per second. This made NATS a clear choice for performance. It gets even more interesting when we talk about code required to handle this amount of messages - NATS required no more than 20 lines of code. Compared to traditional enterprise messaging systems, and other options we considered, NATS was very appealing. It is open source and simple to use. Of course, some of the other options we considered are also open source, but the operational overhead with NATS is nonexistent, and we are able to scale to a high transaction load cost effectively. Management costs are something we had to factor in as a cost - even with open source software. All of these factors made it clear to us that NATS was the obvious choice for our project. If you would like to learn more about the project, you can visit it here.